Is surely not the daffodils growing outside its walls. 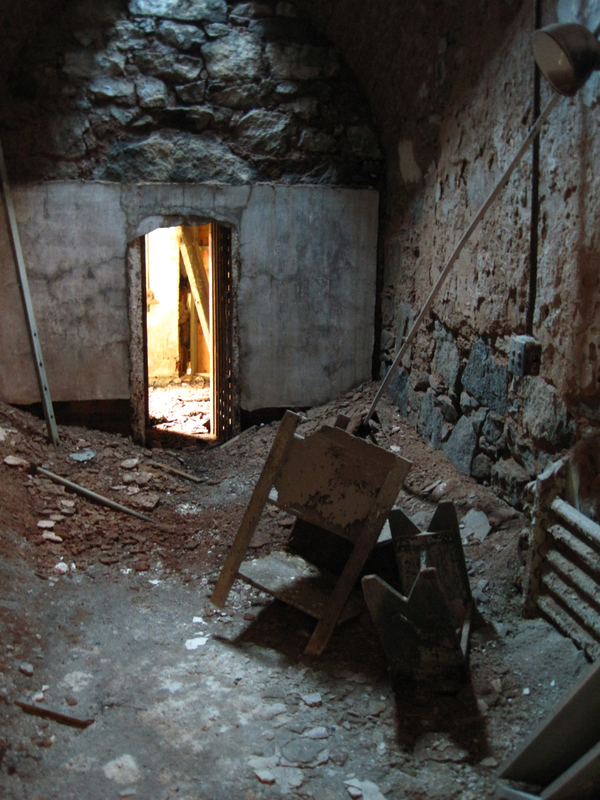 Eastern State Penitentiary calls itself “America’s Most Historic Prison” … (hmm. More historic than any of the prisons listed on the NRHP or any of the fifty+ prison museums in the world? Which historic prison is “least historic”?) … If it has a dubious tagline, Eastern State also has a fascinating history. 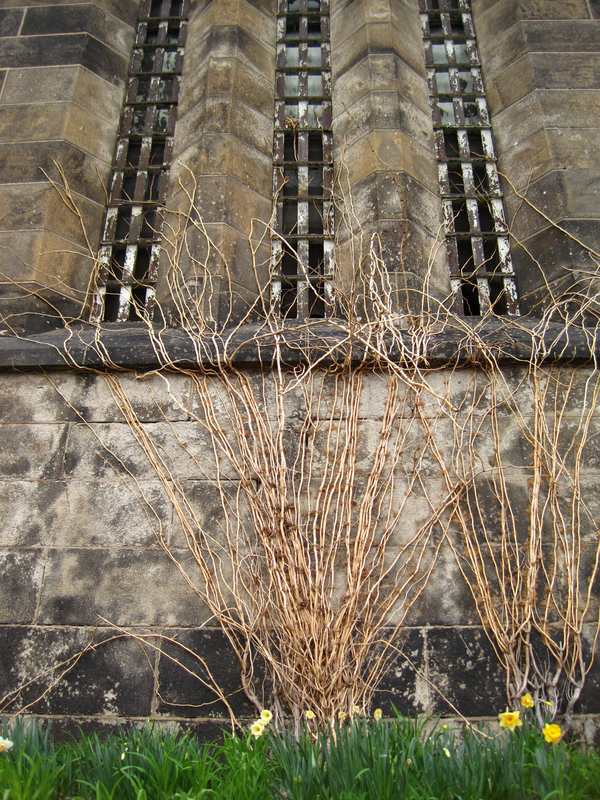 It closed as a prison in 1971, and remained abandoned save for a family of feral cats until 1994. 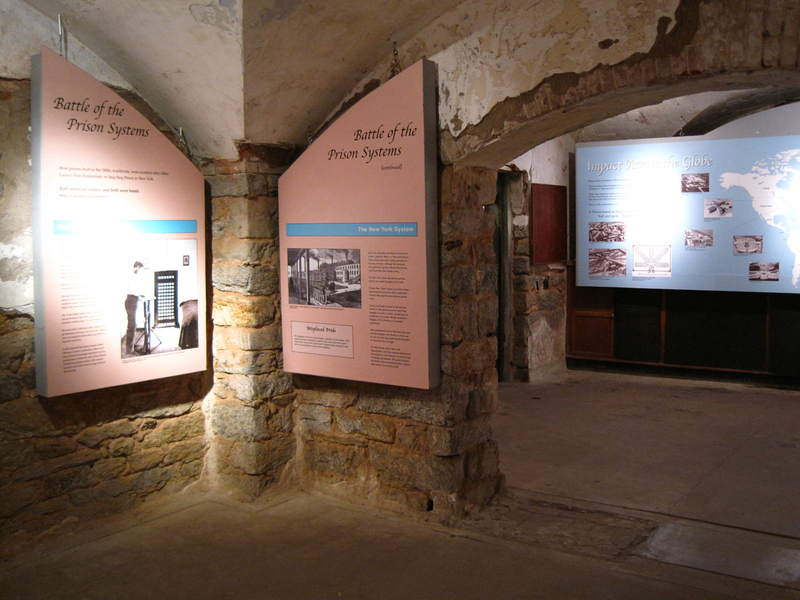 In 1994 the tour program started and stabilization projects were initiated to maintain the prison as a “semi-ruin.” These stabilization projects were to “stop the deterioration and to make the tour route safe for visitors” and some projects restored areas (such as Al Capone’s cell) to how they looked at different times in the building’s history. It makes for some interesting juxtapositions of ruin and 19th vs 20th century prison design. 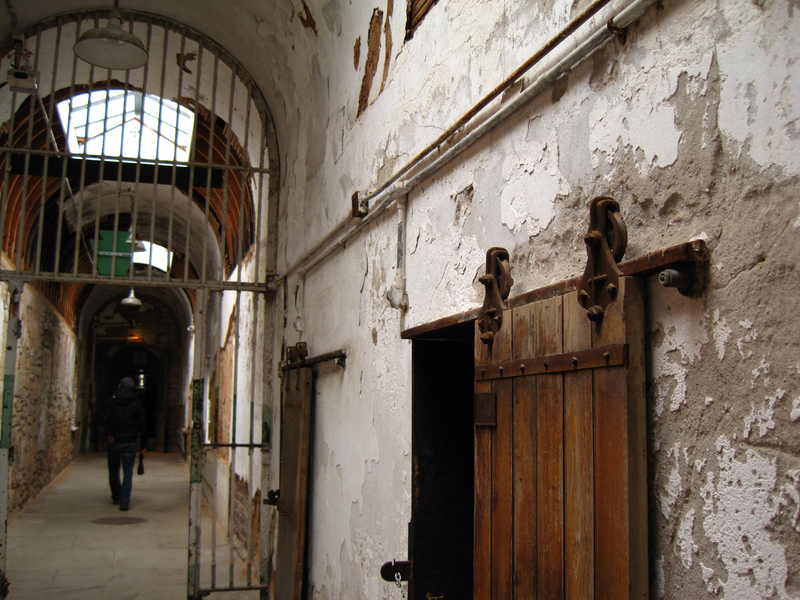 The penitentiary is open every day of the year and offers a number of themed tours. I would recommend that you explore on your own (on-your-own-with-a-friend I mean). Much like at the Ether Dome in Boston (post and photos, here) quiet and solitude enhance the experience. With that said, the free audio tour is worth picking up: it’s interesting and it’s narrated by Steve Buscemi. So is this place scary? I visited late on a chilly and overcast March day and rarely crossed paths with the few other visitors there. The photos I took certainly make the place look sinister. 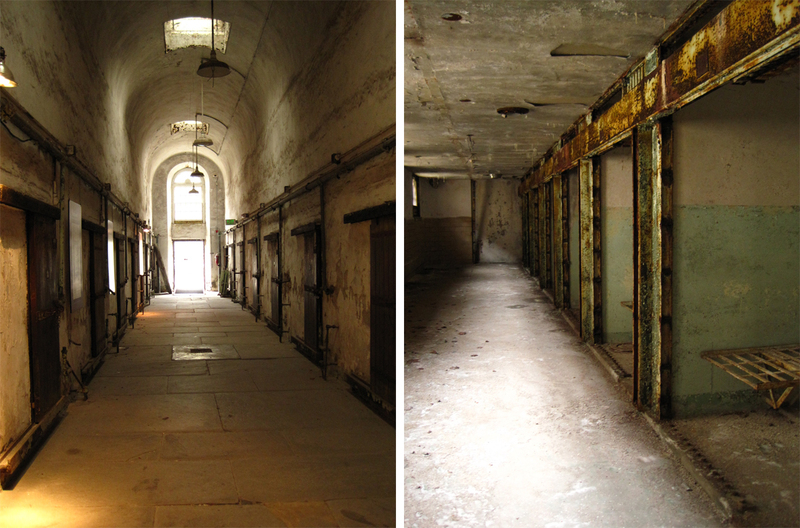 Below on the left is Cell Block 1, one of the original cell blocks from the prison’s opening in 1829. To the right, Death Row (Cell Block 15), built in 1959. 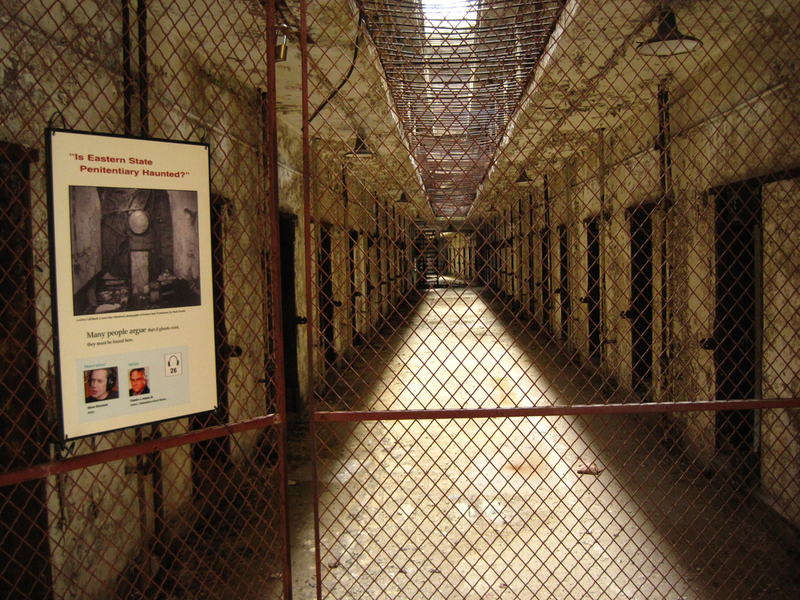 Above is Cell Block 14. 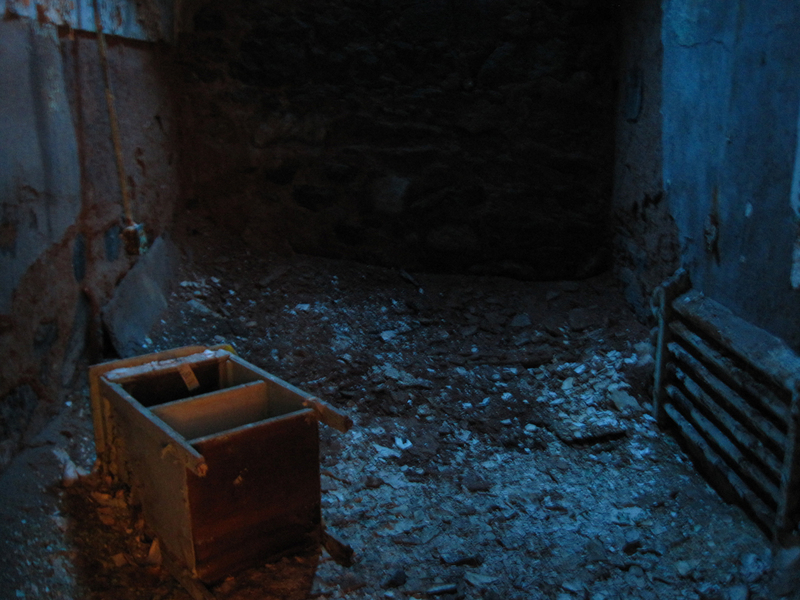 The sign reads “Is Eastern State Penitentiary Haunted?” I looked for ghosts and tried to sense any restless spirits, for naught. Still—scary. Above, an early block. Below, it gets really scary. …as pink exhibit graphics. Scary. mmmm…pepto bismol graphics. These are some beautiful, if not extremely eerie, photos however!